1. a person who is admired or idealized for courage, outstanding achievements, or noble qualities. 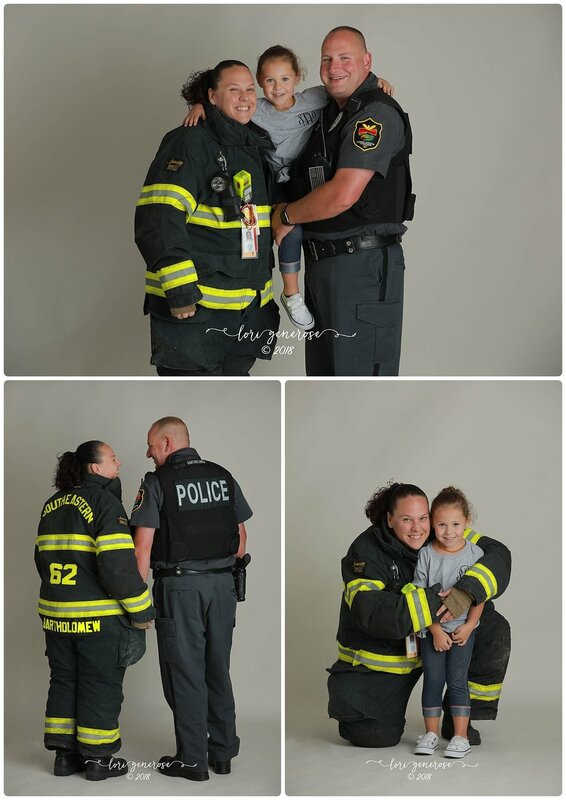 I titled these free photo shoots Everyday Heroes because every day these people leave their families to go out and protect us and that makes them heroes to me. 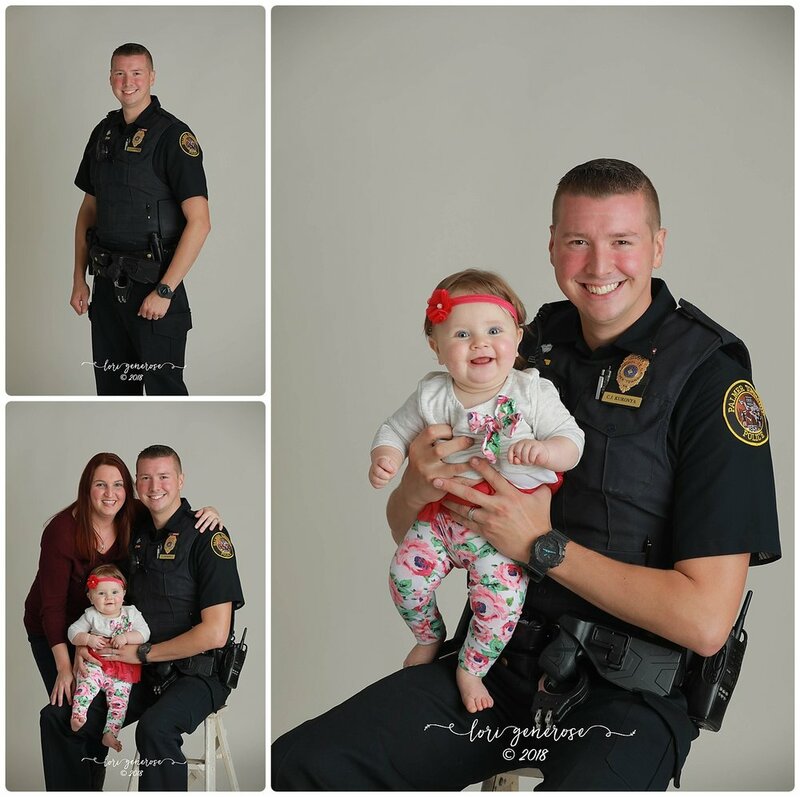 These sessions were of no cost to the families, I donated all of the sessions with my time. They will be able to purchase prints and digitals through their galleries. 100% of my profits will be donated to Camp Cadet and Troopers Helping Troopers. So if you know any of these families, you can buy a print for yourself or you could gift a print to that family and know it’s going to a great cause. I am so incredibly happy and proud of these images. I hope you love them as much as I do. To our heroes, thank you! We love you so much! My prayers are with you all every single day. My heart has been burdened by something for a while now and it’s seems to only get worse as time goes on. I come from a hardworking, blue collar family who taught me to put God first and respect authority & my elders, police officers, first responders and service people. 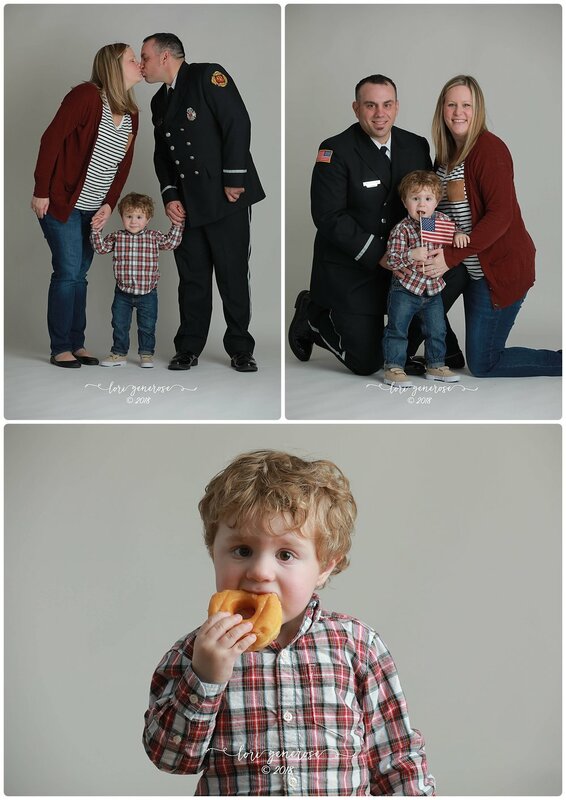 I’ve always done that and I am raising my kids the same way. My parents own a small store and my mother has been robbed at gunpoint two times in her life. The store was robbed more times than I like to think about. It’s been vandalized by cement blocks and rocks. One time when I was a teen working the store alone, a young adult high on drugs lit his gasoline soaked car on fire right in front of the store and left for it to blow up anything nearby which would have included me. Thank God for a passerby who saw the fire under the car when he was stopped at the traffic light. Living above the store which is located on a busy intersection, I saw first responders save lives, catch criminals and use the jaws of life. But it all comes down to the fact that in the biggest and scariest moments of my entire life, there were ambulances, fire trucks and police cars. And inside all of those things were living breathing humans who CHOSE to be there in those scary moments. I want to give back to my community in a special way. To show my thanks for a lifetime of sacrifice and service. 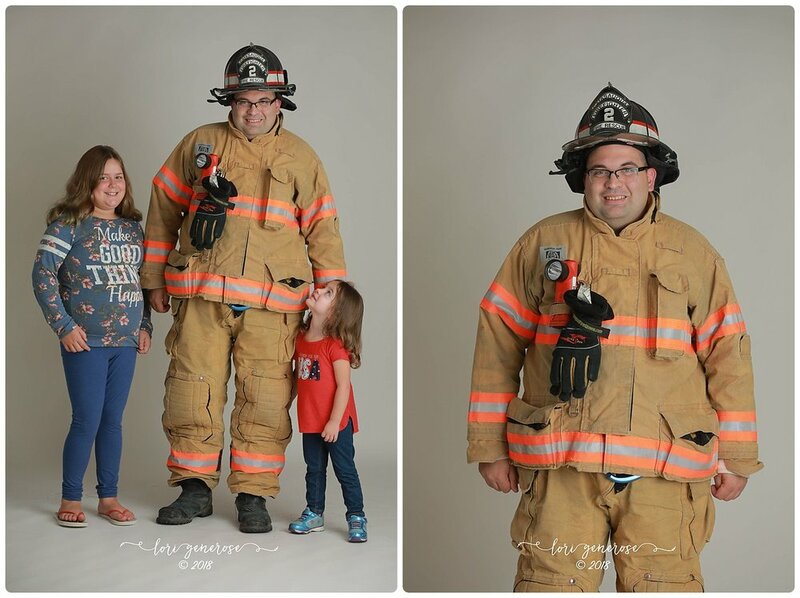 I will be hosting my 1st Annual Everyday Heroes Photo Shoot. Only rule is someone has to be wearing a uniform in the photo. First responders, police officers, service men and women. I want to show my appreciation for all you do. 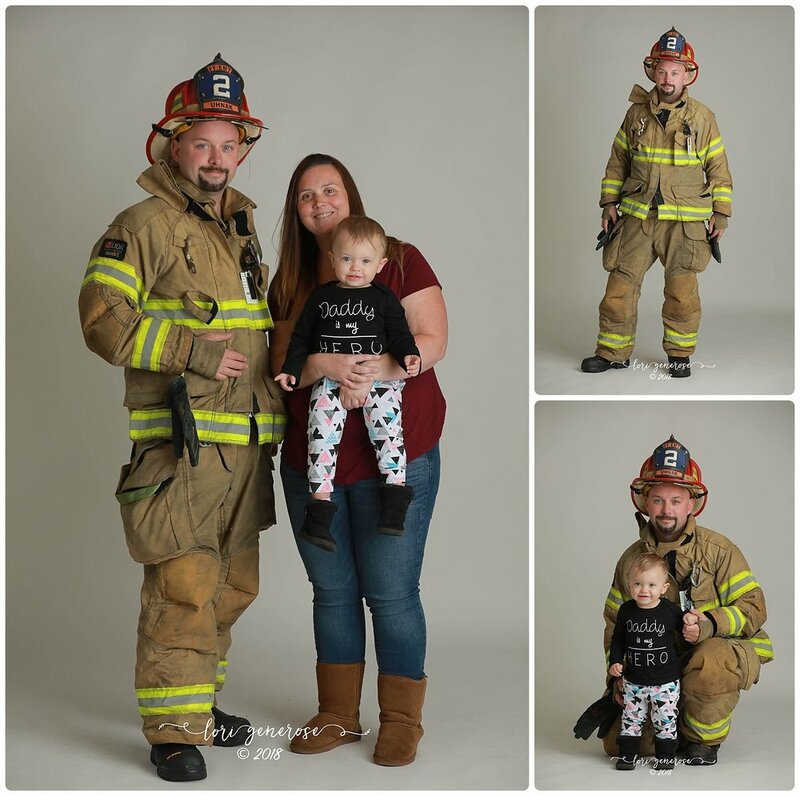 The photo shoot will be September 27th at my studio in Coplay, PA and will be open all military and first responders including police, fire and ambulance. The sessions will run all day long so there will be morning, afternoon and evening sessions available. 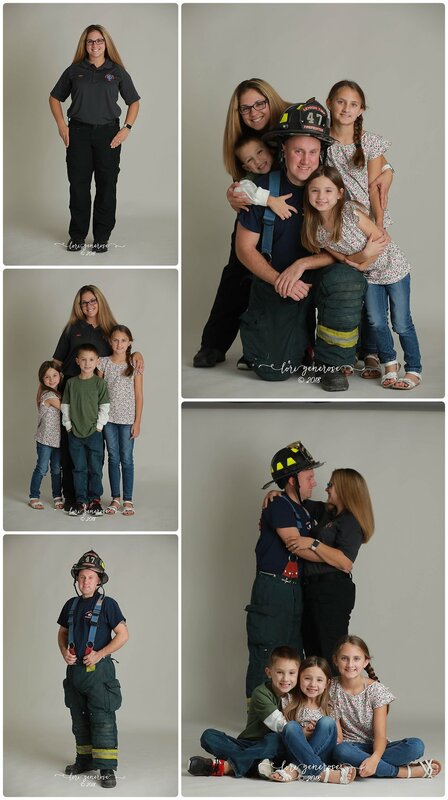 These are very short photo sessions so I can try to fit as many families in as possible. 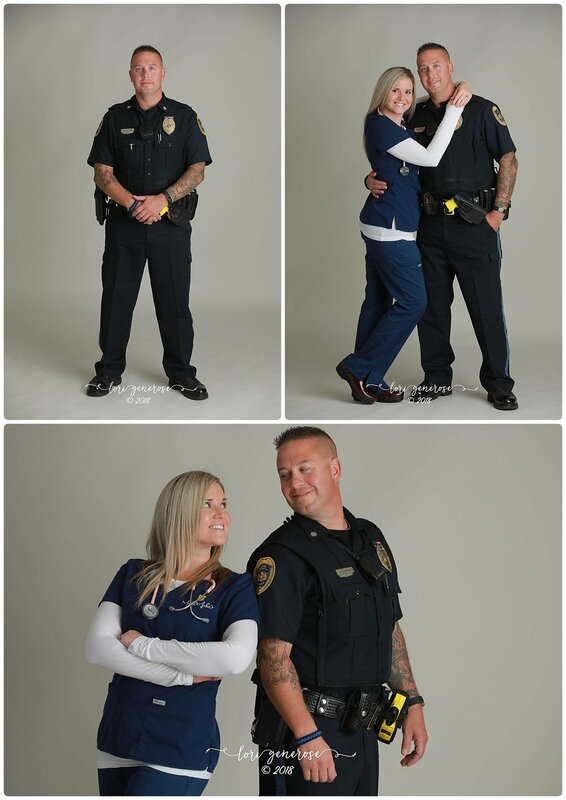 Family, siblings or individual portraits are welcome- as long as you are wearing a uniform, this means you! There is no cost to the session and includes one digital image for free, additional prints and digitals can be purchased separately and 100% of my proceeds will be directly donated to Camp Cadet and Troopers Helping Troopers. We will be posting a link that will ask for your name, email and phone number on our Facebook page, Instagram and website under the Book A Shoot tab on Thursday, August 16th at 9pm. You'll receive an email by Friday morning if you received a session with a second form asking your preference of time frame and you'll be placed into a spot. Please only try for a spot if you can make that day work with your calendar. If you do not receive an email, you didn’t make it in the amount of spots I had available. I know I will get more requests than I have available time slots since I've had an overwhelming response already, and if that’s the case, I will be doing another day of sessions during the winter when I slow down to get in as many people as possible. If you do not make it in for the amount of requests this time around to get a spot on the September date or the winter date, I'm planning on making this an annual event so that you can try again next year! *Pictured in the blog photos are Trooper Brianne Glad of PSP Bethlehem in the CARS unit (collision analysis and reconstruction specialist unit) and Corporal Robert Glad of the Sands Casino in the Bureau of Gaming Enforcement (who just retired on July 13th, 2018). Thanks to both of your for your service and congratulations to Corporal Glad on his retirement! I met Miss Phoebe two years ago in November when we invited her to come see Santa! She was in her second month of treatment and I remember her being very shy and seemingly weak. She had a hard time walking and needed assistance to even walk up to Santa. Since then, I’ve watched her Facebook page, Friends of Phoebe, and I’ve seen that sweet little girl turn into a spunky, full of life, silly, amazingly crazy and HAPPY girl with a full head of thick brown hair! Also, she loves unicorns, rainbows, cooking and Paris!!! She’s awesome!!! She went through 836 days of treatment to ring the bell that she’s cancer free finally on December 29th. I wanted to photograph her "No More Chemo" party when her mama messaged me about it because I knew it would be an incredible day and it should be captured!! She was surrounded by so many loved ones, new friends and old, nurses and people they’ve met along their journey! Phoebe’s mom made a beautifully emotional speech that had everyone in tears! She even had appearances by special guests Merida and Harley Quinn! Please support the people who helped make this party possible.